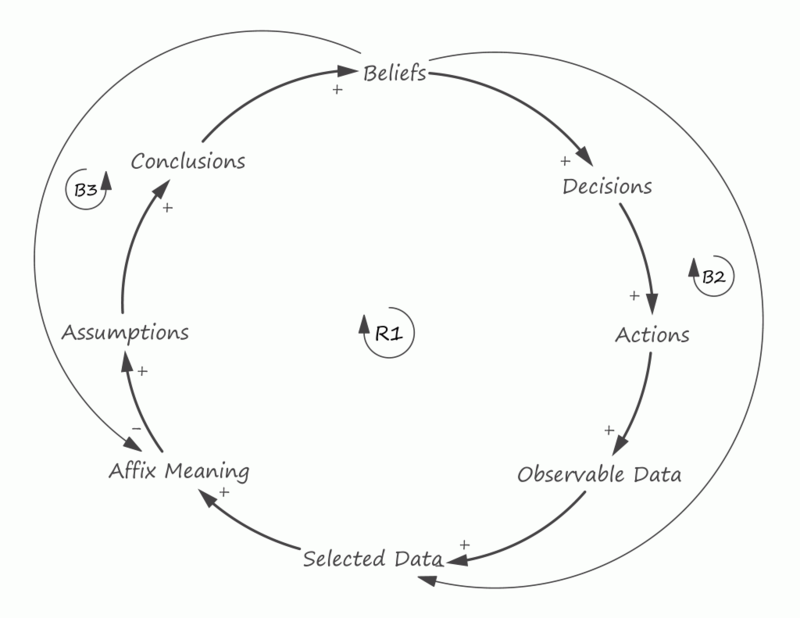 "From the observable data and experience we select some and affix meaning to it. This forms the basis of our assumptions. And then we come to conclusions which in turn influence our beliefs. 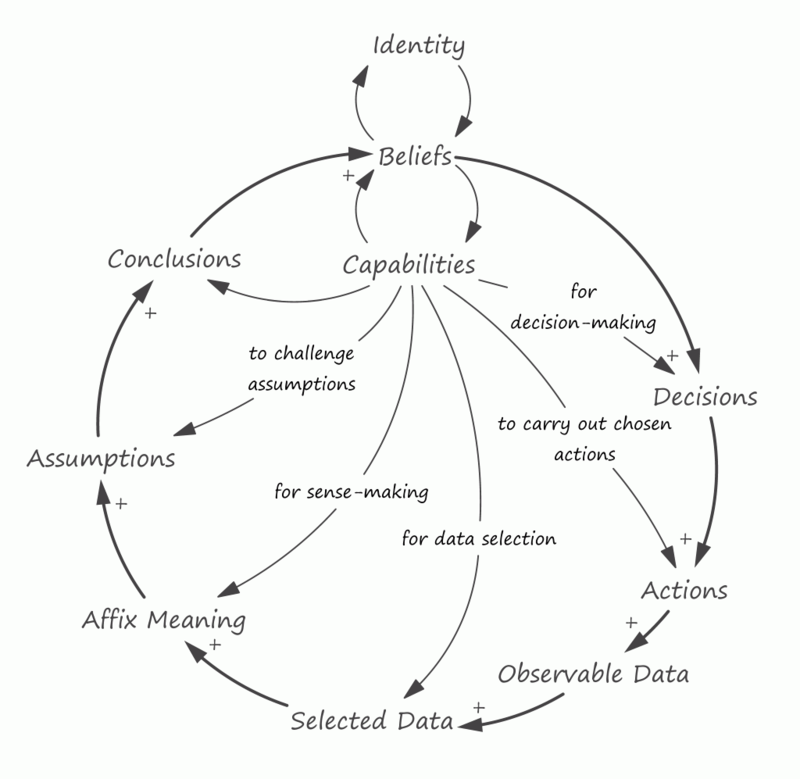 Our beliefs are the basis of our actions which bring more data and experience from which we select some, affix meaning and so on. We tend to believe that we affix meaning to the observable data, oblivious of the selection we always make. In a similar way we believe that we draw conclusions by clear reasoning, while we actually always apply some assumptions." Let me know if there is a copyright issue that I accidentally missed. I am basically trying to document new ideas at a single place.